People talk about routine, about finding a good routine and then sticking to it. Now, this can work for certain things and can actually help to keep you on track but it doesn’t mean that breaking away from the routine sometimes will ruin everything. When it comes to exercise and especially beginners I always say they need to find a routine because it will make it easier to monitor what they’re doing. I set their routine and help them to monitor the intensity, for example they may have exercise sessions set on mondays, wednesdays and fridays with a structured nutrition plan. This way they can tick off the boxes each time they complete a workout or eat something and it is an effective way of staying on top of things. – Your body becomes used to the intensity and doing the same things week in week out. You will start to see a plateau or decrease in results and this means that something needs to change, whether that means the type of exercise, the intensity or even the amount you are doing. – If you start to feel guilty for having to change the routine for something that has come up unexpectedly. The idea of creating a routine is to help you, not to force you into a rigid schedule and it is certainly not there for you to punish yourself mentally over not sticking to it once or twice. Be realistic, there are always going to be things that get in the way but all you must do is figure out a way to fit in your workout another time, its as simple as that!! – When you have been pushing your body to it’s limits in order to achieve results sometimes it can get over worked and can become exhausted. 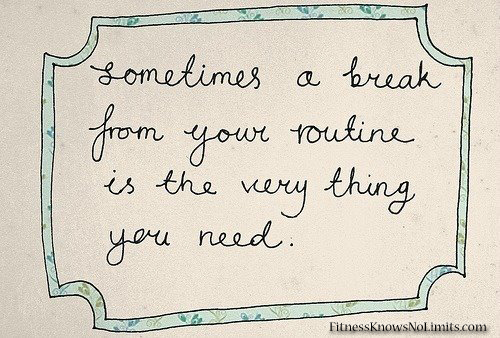 This is very important to take note of and sometimes the best thing to do is to ignore your routine and give your body the rest it needs to come back fighting. I have certainly found that when I take a break from exercise and focus on letting my body recover (stretching, yoga, sleeping), I come back with a remarkable amount of energy and actually it always does my body a whole lot of good. I am guilty of over working my body at times don’t get me wrong, but I can tell immediately that my body doesn’t react well to it. Taking a break from your routine does not mean abandoning it altogether and pigging out on the sofa, but it means giving it a break from working so hard, fuelling it with clean and healthy foods, and preparing it for hard work again! Pregnancy is full of amazing surprises. What your body is capable of is incredible. You are carrying on with your normal life whilst inside you another life is being created! You can even forgive your body for making you feel tired and nauseous sometimes when you stop and think how hard it is working to create a safe environment for your child to grow in. This does not mean put your feet up all day long watching TV, this means listening to your body and making sure you’re getting enough sleep. Your body is working harder than ever now and the least you can do to help it, it getting a full nights sleep as much as possible. As I mentioned earlier, pregnancy can come with all sorts of surprises, some good and some scary. The important thing is to talk to people around you, whether they are professionals or your nearest and dearest. Feeling scared during pregnancy is completely normal but there is no point in going through it alone and spending your pregnancy feeling unhappy. This should be an exciting time for you so make sure you spend it with supportive people around you. I will be posting more about helpful tips and advice during pregnancy, involving diet and exercise so keep your eyes peeled and please pass this on to anyone you know who is pregnant or even thinking about trying for a baby! London is trying it’s best to heat up, but this week we have just had “muggy” which gives us hot and sweaty journeys on the tube, sticky days spent in the office and even some restless nights. Sweating is mostly associated with feelings of discomfort and stress, whether it is physical or emotional stress. I get asked about sweat regularly by my clients so I thought I would go through some basic facts to see if I can answer some of your questions. 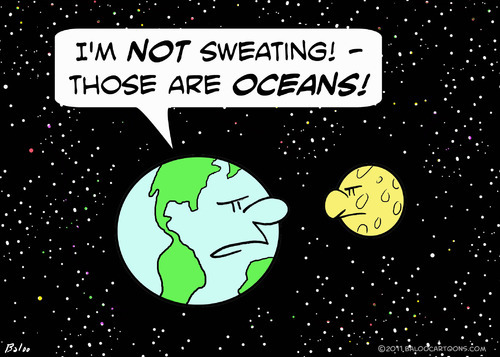 There are 5 million sweat glands in the body but not all of them produce the same kind of sweat. Apocrine glands become active at puberty. From that sentence I am sure you can guess which sweat glands these are. They are mainly found in the arm pits and produce the smelly odour many of us worry about regularly, especially in stressful situations. This kind of sweat actually contains very little water, it is made up of proteins, lipids and hormones and is brought on in situations of high emotion, stress or exercise. The second type of sweat glands are Eccrine glands. These are found all over the skin and start to function almost as soon as you are born. These sweat glands are responsible for keeping the body cool when it starts to heat up due to outside temperature, exercise, fever or anything else that causes the body’s temperature to rise by producing a dilute salt solution composed of 99% water. The eccrine glands produce a far larger amount of sweat that the apocrine glands in the arm pits but it is far less smelly! Am I unfit if I sweat a lot? For most of us, sweating is a pretty good determent of how hard we have worked when exercising am I right? It is actually a pretty good indicator as it shows you that the body has reached a temperature that it is uncomfortable at and it is attempting to cool down by causing the sweat to evaporate from the body as water. If you sweat a lot during physical activity, this is not a sign of decreased fitness! Do men and women sweat differently? Yes, this is absolutely true, men and women have different sweating patterns. The average male produces four times more sweat a day that a woman of the same age. Research is still ongoing as to why women need to exercise to a higher intensity than a man does in order to start sweating, but the guess is that the reasons are hormonal. In a nutshell the answer to this question is no. When you sweat, you are losing water, not fat however due to the loss of water the body is forced to find energy elsewhere, normally in the form of stored calories and body fat. So no, sweating itself does not burn fat but the act of sweating can help the body to burn fat in other ways. It is a sign of the muscles working hard if the body heats up to a temperature that the body sees as too high. Remember that there is absolutely no reason that you should limit your water intake while trying to lose weight, in fact you should increase it. Feeling dehydrated can make you feel lethargic and lacking in energy, which leads you to reach for the comfort foods!! Go and fill up that water bottle and … get your sweat on! Caffeine – good or bad for you? As we all know, caffeine is a stimulant and a drug and we are all warned that if we consume too much of it, we are at risk of addiction and the associated health problems. However, the reason most of us are confused at how much we are supposed to have is because there are contradicting articles telling you that caffeine will help lower your chance of getting cancer and suffering from heart disease etc. Too much information leads us to huge confusion and so I am attempting to simplify some of the information out there about caffeine and the effects it has on your health – both the good and the bad. Caffeine can be a mood booster. It stimulates the release of a neurotransmitter called dopamine which activates the area of your brain responsible for productivity and alertness. The amount it may boost your mood and the time it lasts for depends on the amount of sugar consumed with the caffeine. For example, if your put a lot of sugar in your coffee, your mood may be boosted a fair amount however once your blood sugar level drops down again, you will notice a pretty sudden decrease in alertness and productivity! Coffee has been proven to help lower the risk of oral cancer. A study published in the American Journal of Epidemiology suggests that there is a strong connection between the increased caffeinated coffee consumption and the lower death rate from oral cancer. Research is ongoing on this topic. Having too much of anything is a bad move and it is no different with caffeine. Too much of it can cause nervousness, “the shakes”, insomnia, irritability, upset stomach, muscle tremors and irregular heart beats. Everyone will have a different tolerance so the amount of caffeine that works for your body will be individual to you but any more than 500mg (equal to 4 cups of coffee) can produce these effects on most people, especially if you are not used to taking in this much caffeine. A healthy individual should try to remain under 300mg of caffeine a day which equals around 3 cups of coffee or 4 cups of tea. 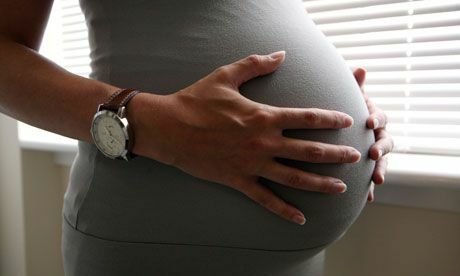 Pregnant women should limit their intake to under 200mg and children should consume no more than 50mg daily. 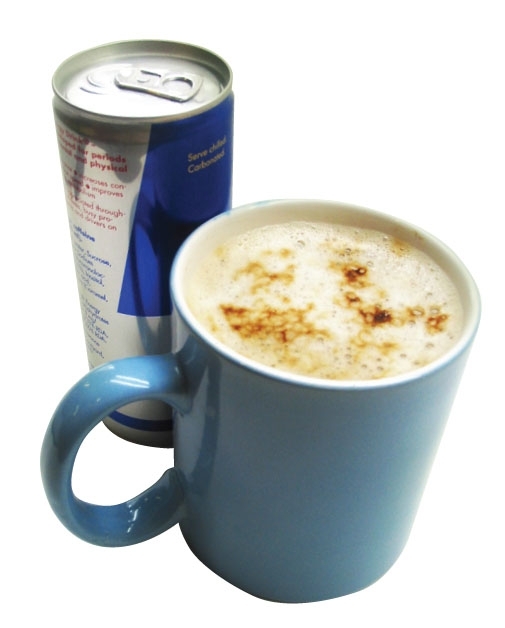 Remember caffeine isn’t only in coffee and tea, it is also in sugary energy drinks that you may give your children. Caffeine may NOT help weight loss!! Although many people use the zero-calorie coffee as a diet aid, research has not confirmed that it helps with weight loss. Caffeine does temporarily speed up metabolism leading to a few more calories being burned, however it also leads to the production of cortisol. Cortisol is a stress hormone which is linked to weight gain and of course stress!! Research has also shown that the extra calories burned does not equate to an amount that will drastically help with weight loss. Be careful which source of caffeine you choose! Health professionals always prefer you the get your caffeine fix from a natural source such as coffee or tea. Energy drinks are design to give you a quick boost of energy, and generally do just that, however the amount of sugar that is added to them can add up to about 70g. That is the equivalent to 17 teaspoons of sugar. These energy drinks can be dangerous to consume because as well as the huge amounts of caffeine and sugar in them, there are additives and stimulants that are thrown in there as well. These can cause the shakes, anxiety, irregular heart beat and also decrease the effect of any prescription drugs or antibiotics being taken. Caffeine is used by athletes for exercise benefits. When caffeine is consumed in a fasted state, it stimulates the release of fatty acids into the blood therefore making it the preferable source of energy over carbohydrates or lean muscle. The list of positive and negative effects that coffee has on our health is ongoing and there is no way I could talk about it all today but I hope those couple of facts have perhaps taught you something new, or cleared up something you weren’t quite sure on. We do not have a clear cut answer to the question in my title, the answer is that in moderation there should be no problem but you have to find the right amount for you as an individual! Enjoy your day, stay healthy, stay active and … watch that caffeine intake! Today I wanted to talk a little bit about the psychology of exercise and how it can prevent people getting the results they are working for. The truth is that if you don’t change all your bad habits and not just the ones in the gym, you won’t get anywhere near the results you are hoping and working for! If you are working towards the goal of becoming leaner then you want to be creating a calorie deficit. Burning off calories in the gym is the first step but then if you eat more because you “deserve” it, you may be bringing it back to equal again. You may not gain any weight, and if your goal is maintenance then fantastic but if you are looking to change your body then you have to address it from all aspects of your life! Don’t be fooled into thinking that the hour you spend in the gym is a magic hour and will change your body! It is the first step but if you don’t change your diet and lifestyle it is a wasted step! I’m not saying that you need to forbid yourself any snacks or enjoyable treats but just think carefully about why you put in those hours at the gym when you next go to grab the second slice of cake or order your second beer!! Is it worth it? !